always be handy for planning, note-taking, reporting, and discussing. DogScroll is made for individuals and training instructors and recommended by dog training professionals. 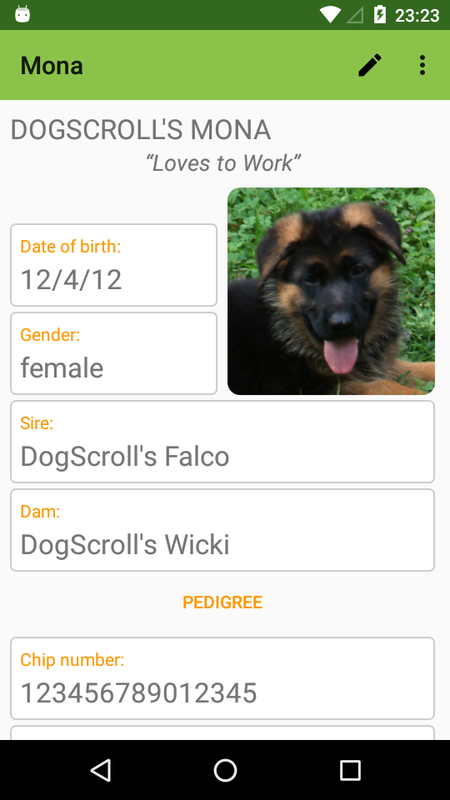 Start by creating a dog profile, entering its basic information along with a picture. Then manage profile details, activities, trainings, achievements, and health events. If you own several dogs or if you are leading a training group just create multiple profiles and manage them individually. 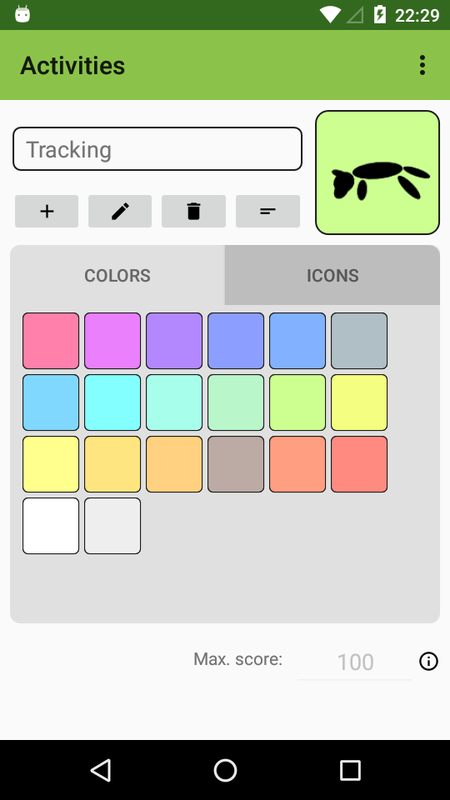 Tap on the image in the main screen to view and edit more details about your dog such as pedigree, registration numbers, chip or tattoo number, or links to other information - or to change the profile picture. You can add or update information any time after creating a profile. 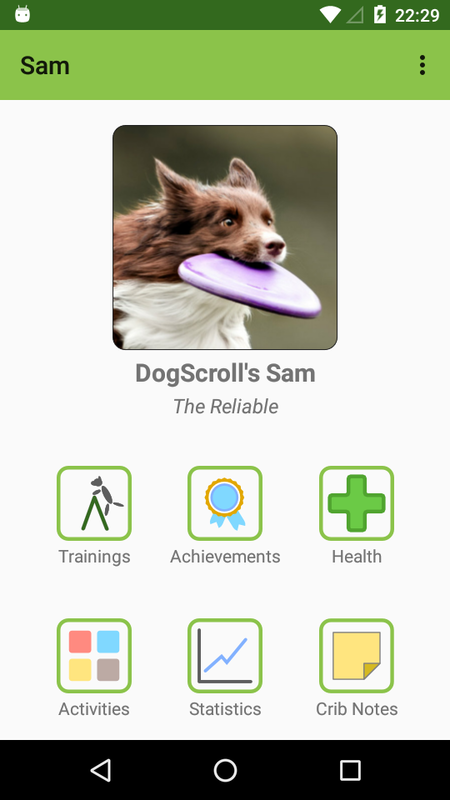 With DogScroll you can track multiple different training activities for all of your dogs. You can define each activity yourself and, for easy recognition, assign a customized icon to it. Depending on your needs, activities can be specific exercises, categories, or dog sports. Create records of each training session. You select activity and date, and add more information such as location, weather and temperature, scoring, and free-text training notes. In addition to individual notes for each training session there are notes that carry over from one session to the next of the same type. Keep track of the things you accomplish with your dog: trials, qualifications, competitions, shows, evaluations, etc. 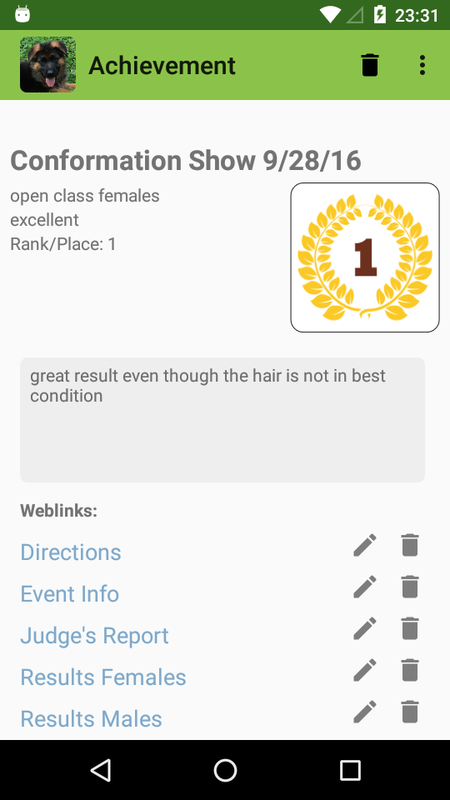 Enter typical event-related information such as type, location, class, score, time, rating, ranking, etc. Free-text notes allow you to include other information, and via weblinks you have easy access to online information such as schedule, directions, or results. 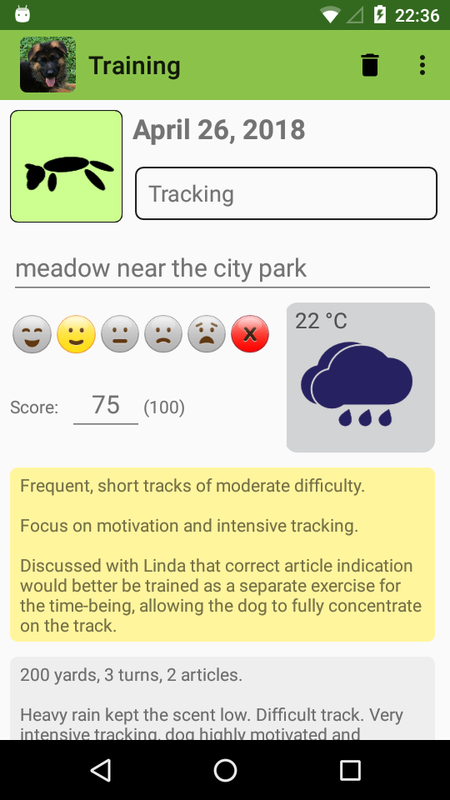 The health log in DogScroll allows you to record all health-related information and events of different categories, and you can set reminders e.g. 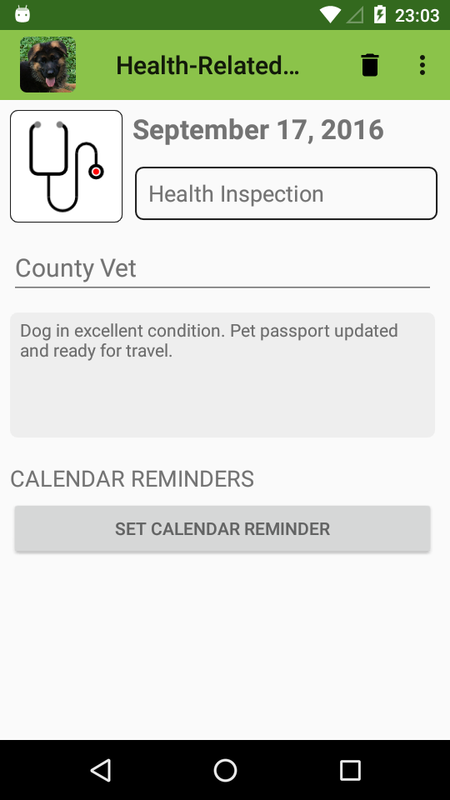 for vet appointments in your phone's calendar. How is your training progressing? How often do you train? Are you working at a good pace? 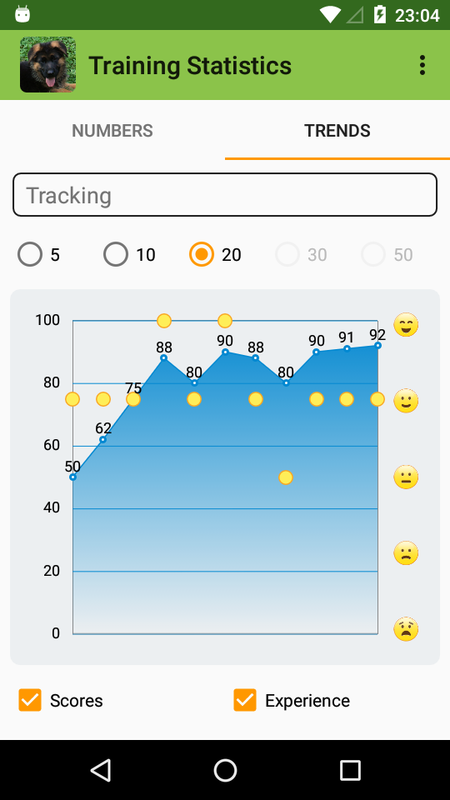 Get an overview of status and trends in the training statistics.